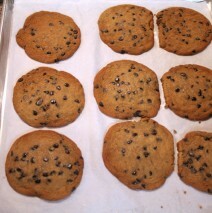 We have one of the best Chocolate Chip cookies, made fresh every day. They are soft, they are warm, and they will hit the spot. Try one, you’ll want more.